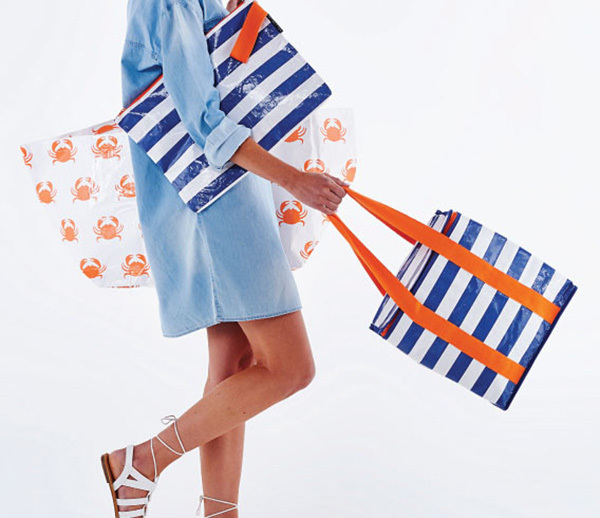 Next time you’re heading out to the beach, the swimming pool – even just to do a quick grocery shop – make sure the bag you’re carrying is a super stylish one. 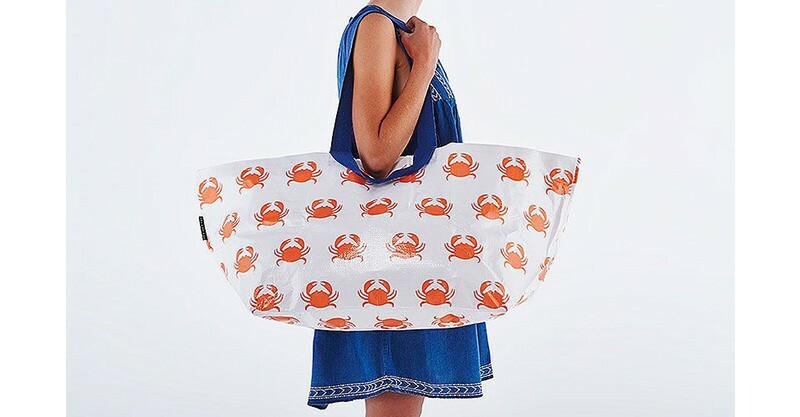 Boring tote bags, begone! Project Ten makes bags that are all about looking the goods, as well as carrying them. Talk about brightening up the everyday! Those environmentally friendly green bags you buy from the supermarket are as handy as they are boring. 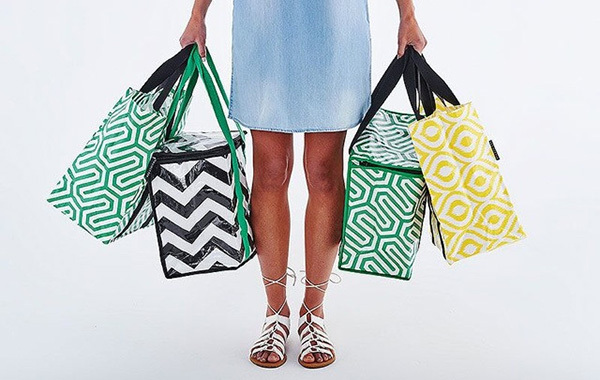 Unfortunately these are the first I reach for when heading anywhere (namely the supermarket or pool) and boy, do I wish I could swap them out for some of these brilliant easy-on-the-eye totes from Project Ten. Project Ten offers several snazzy prints to choose from including classic navy stripes, green path and my personal favourites – the fresh yellow ikat and the quirky orange crab. Needless to say, they all positively scream summer, making them perfect for wherever it is you want to go, be it the supermarket or the beach. 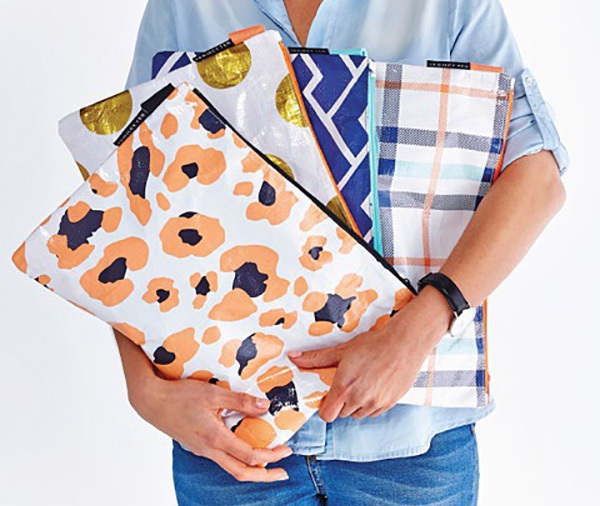 Of course, Project Ten knows that one size doesn’t fit all activities where bags are concerned, so they have five styles available. You can choose from the Small Pouch ($9.95), perfect for wet bathers, to the Shopper ($14.95) and the Oversized Tote which will fit all the family’s gear in ($19.95), and a couple of super handy sizes in between. Head on over to Project Ten to check out all the stylish bags you could be heading out with this summer. While you’re there, be sure to see the Gift Sets section where you can grab a bag bundle bargain!